Well, once more I am posting on here seeking assistance for my poor Cabriolet. This is a 1993 VW Cabriolet with Digi II. To update, let me explain what is wrong, then what I have done in an attempt to fix the issue. The problem first started with random no start issues. The car would crank but not start. After the second time it did this I replaced the cap and rotor (they were in vary bad shape) and the car started right up and ran fine... for a day. The following morning I go to leave for work and it does it again. Cranks over but doesn't start. Upon further inspection I noticed the following: A) Fuel Pump was not priming, B ) No spark during cranking (sparks erratically about 3 times when ignition is switched to On position), C) Airbag lights are on and stay on (tho it has been this way since I bought the car 3 years ago). 1: New Cap, Rotor, Wires, Plugs, Coil. 6: Checked entire Ignition System. A) Coil is Hot, Ohm's out properly, etc. B) ICU has battery voltage at connector. * Voltage at outer terminals of connector (Very low voltage, book doesn't say how much it should have). * Switching function questionable (LED Test light stays on and dims while cranking, does not flicker). 10: Checked for any bad grounds under dash, all are clean, wires are not burnt or melted, everything is intact as should be. So... What in the world could possible effect both my fuel pumps and my spark? A signal is getting lost somewhere. I read elsewhere on here that the Airbag system can sometimes cause starting issues. I know that many newer, and perhaps older, vehicles with airbags will shut off fuel and spark when the airbags are triggered. Sorry for the long post, but I wanted to be through for your sake and for mine. Anyone have an ICU and or ECU for sale? Last edited by djoutsider711; 03-19-2011 at 01:17 AM. 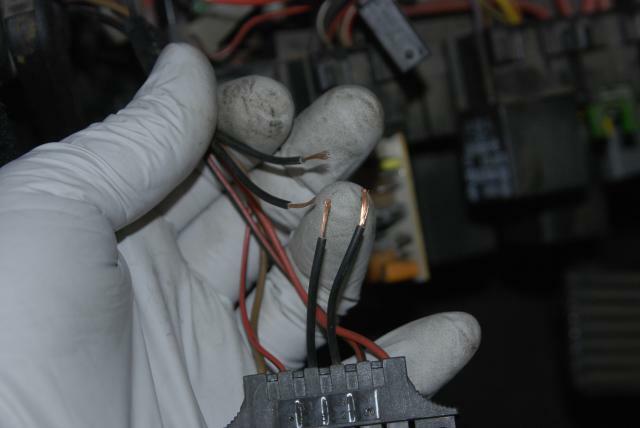 I had this issue with mine back when i first got it and it ended up being something wrong with the airbag system, I bypassed it by splicing the two black wires togeather that are on the plug directly under the fuse pannel and it fired right up. I dont have a airbag steering wheel in the car so I didnt really care if the system was bypassed or not. Last edited by oldschool eighty8; 03-18-2011 at 09:28 PM. I have a 91' EA with the 2 airbag lights ON since i got it and dont have that problem. Yeah, the lights being on isn't the "tale tale sign". Mine have been on for years as well. But, that makes it all that much harder to diagnose as well. Luckily there is a good walktru on caby-info.com that can help give you a better idea. My guess is that it is highly likely that the unit just wnet brain dead and decided to sut everything down. I'll know more in the morning. Post some results when you know whats wrong. Voltage across the two outer terminals should be around 10 volts (best I recall. The center, signal or output wire should certainly flash a two color LED tester green>red>green>>> while cranking but it cannot if the supply voltage is too low or if the sender ground is kaput. Check the outer leads again, note voltage across the two. Check from the hot side to an alternate ground like the engine or battery negative. Check from the ground side to battery positive, also ohm the ground side to engine, then battery ground. Are you 100% positive it's DigiFant I, as in California type? I don't go further with advice from schematics without knowing which the car has, at this level, DigiFant I and II are wired very differently from each other. An airbag harness fault could maybe cause your reported symptoms, Hall sender readings aside. 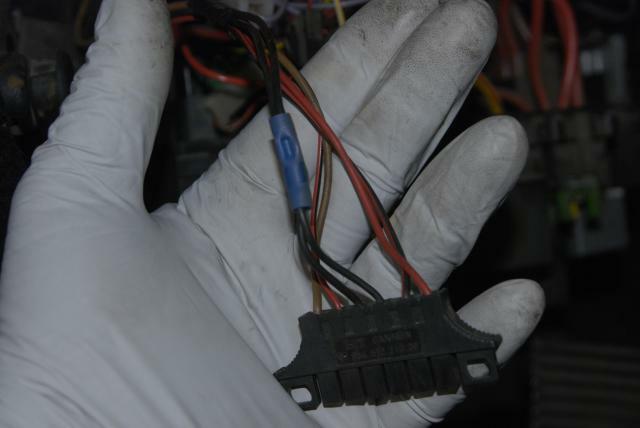 Do the splice on the car side of the air bag controller harness plug, it cannot hurt anything, all air bag functionality will remain as before provided the air bag controller is left connected. Ugh, well, it definitely didn't have 10+ volts at the plugin. As I recall it had something like 0.6v. I will check again in the morning. And no, it isn't Cal Spec.. so it would be a Digifant II. Fixing now on main post. I will follow up with more specifics in the morning. Check Engine Light on dash. Transformer looking ignition coil with integral power stage, same as A3 VWs with Motronic. 5 wires in the wire loom to the injectors near the fuel rail. Throttle position SENSOR (variable resistance, a potentiometer). Old school appearing cylindrical ignition coil. 2 wires in the wire loom to the injectors near the fuel rail. Throttle position SWITCHES (on or off, no in-between), two of them. In that case if you need a ecu (which i doubt is the problem) then I have one here. Ok, here is what I discovered. Also rechecked the Fuel pump relay socket. Slot *6 (Jetronic/Digifant ECU (fuel pump turn-on)) is totally dead, no ground, no Ohm reading at any stage in the ignition switch. Would it be worth replacing the #1 Digifant Control Unit Relay? Edit: Also looked for the Coil resistance Wire... any tips would be helpful. Book says it is in Socket C15, Above diagram says it is in D15 (Euro Only)... ??? Cannot find anything on the Coil itself that resembles a resistance wire, Only 2 red/black wires and 2 black wires. Last edited by djoutsider711; 03-19-2011 at 04:36 PM. Well, I have an new ICU and ECU on the way. That is my last resort... cross your fingers for me. Power on the green/white wire at the Hall comes out of the DigiFant ECU, yup, it's possible the ECU is at fault. Before condemning the ECU, VERIFY power and ground at the ECU. Main power from the "DigiFant Control Unit Relay" comes into the ECU at pin 14. Test with both your DVOM AND with a BULB (not LED) type test light. Main ground to the engine block is connected to ECU pin 19, again use your DVOM AND a BULB. This wire is brown/black, best I recall it actually connects at the left (driver side) rear corner of the valve cover. Pin 6 isn't shown connected to anything anyway, irrelevant, abandon this diag path. Edit: Also looked for the Coil resistance Wire... any tips would be helpful. Book says it is in Socket C15, Above diagram says it is in D15 (Euro Only)... ??? Not sure where you're getting this info, but E2/C15 (or was it C2/E15?) issues related to very early AMP fuse/relay panels, totally not applicable to DigiFant cars. Coil resistance wires (series resistance, other makes used a ballast resistor for the same function) went away at the same time points gave way to electronic ignition (breakerless), another diag path to abandon.